"A ride to hell and back", once again the Trophy’s 20th jubilee truly lived up to its motto: pouring rain, temperature below ten degrees, extremely difficult track conditions for the 768 Starter of the A course starting at 05:00 hrs. The race on the 210 km long course with 7.119 altitude difference was thrilling until the very end. Until the last few kilometers Joseba Lizaso Albizu from Spain was in the lead, but in the final sprint Konny Looser from Switzerland was able to overtake beating him by a 2.5 seconds whisker. Ondřej Fojtík (CZE) came in third place – only 4.5 minutes behind. Last Year’s Winner Sabine Sommer did it again: after 12:50:12 hours, she won once more the Austrian Marathon Masters winning the extreme distance for a second time in a row. 11 Minutes behind and second place Milena Cesnakova (CZE) – winner of 2014 and 2015. Irina Krenn from Bad Goisern finished after 13:41:40 hours third place. Only 15 minutes behind Beáta Balázs (HUN) crossed the finishing line at fourth place. July 15th 2017 – a date which has been highlighted in their calendars by many marathon fans. 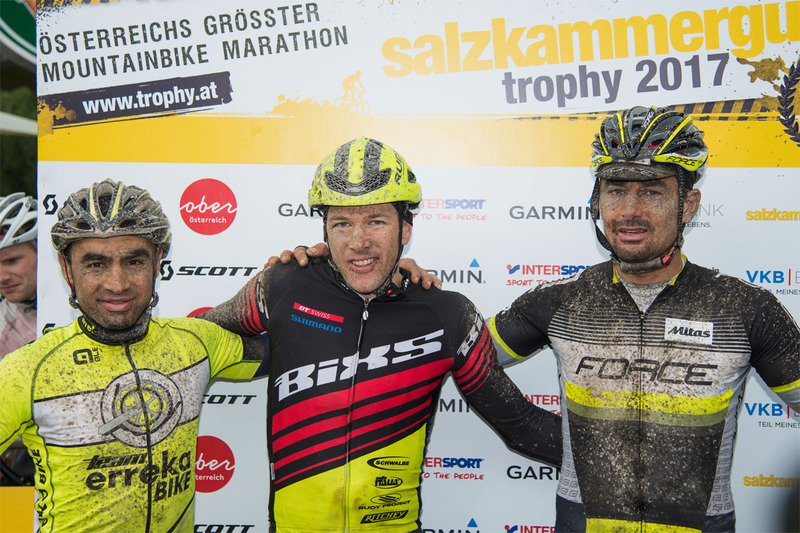 For the 20th edition of the Salzkammergut Trophy more than 4.500 entries so far, 900 for the extreme distance! 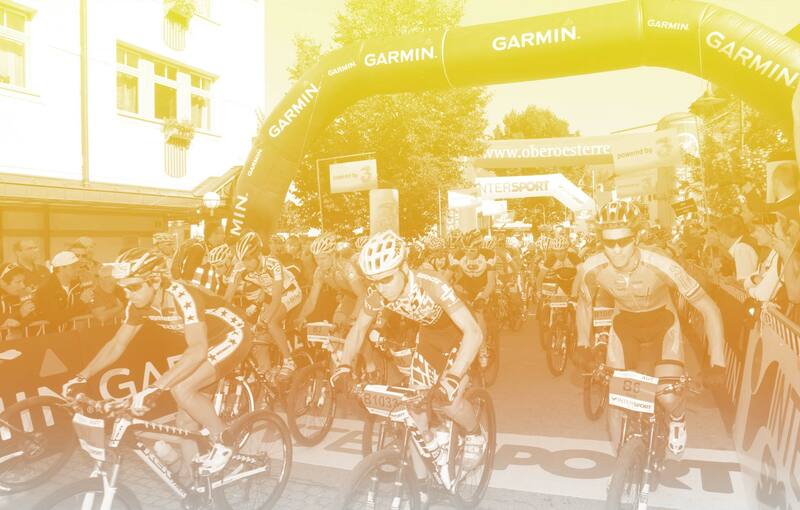 So, more than 5.000 bikers from more than 40 nations are expected again to tackle the seven different distances. For the anniversary Trophy Gerrit Glomser from Salzburg and Juarez Tinker (USA), winners of 1999, 2000, und 2002, have signed up. Both former stars will tackle once again the extreme distance, aiming for a top position within their age group. On July 16th, the final day of the Trophy weekend, the SCOTT Junior Trophy contests are taking place. The crowd and atmosphere is just as enthusiastic as during the marathons. The youngsters fight some thrilling duels and action-packed final sprints!!! The diverse circuit is technically not too difficult, still perfect for skilled and ambitious youngsters born between 2003 and 2012. The best three of the categories U7, U9, U11, U13 and U15 will be awarded with trophies. The age group U17 will start already on Saturday on the shortest marathon course with 22.1 km. 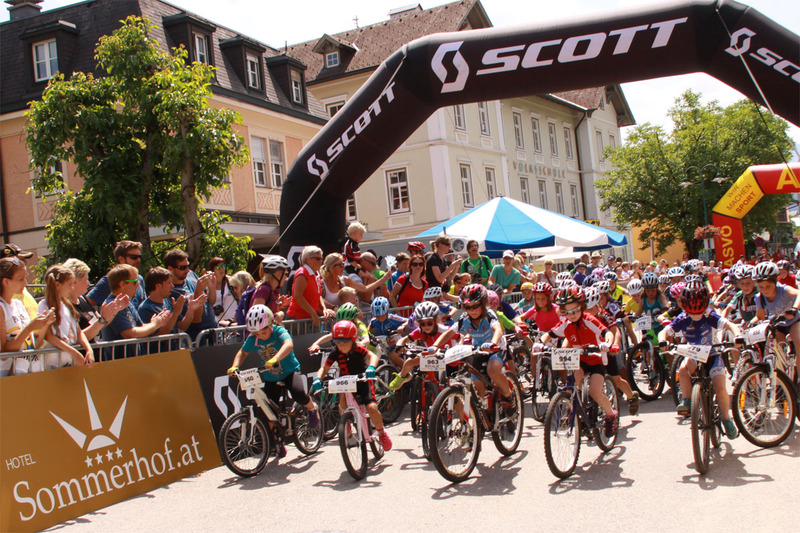 The since last year’s new Parcours-contest is great for children and teens between age three and 14. The classification in the various categories is not according to the age but rather to the wheel seize! 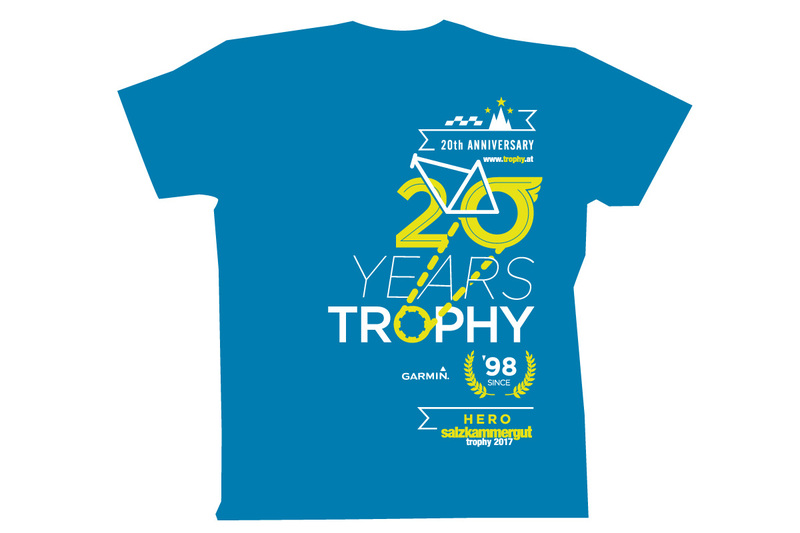 All participants receive as souvenir the popular Trophy-Shirt as well as the ginger bread medal. Among the men already six of the top 10 of last year’s WC have signed up! We are looking forward to World Champion Florian Rabensteiner and Vice World Champion Lukas Huber as well as third and fourth place Gerald Rosenkranz und Stefan Brunner! Also at the start Rulf Jakub and Stefan Rabensteiner who came in sixth and seventh at the last year’s Trophy as well as at the WC three weeks later. 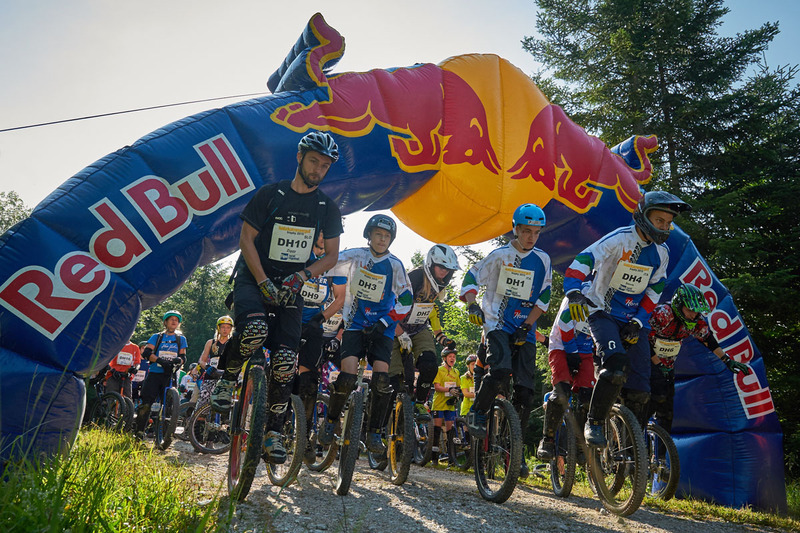 The distance at the 2nd eMTB-Trophy will be again 32.5 km long. New this year will be a fourth section with a timekeeping. Only the times of the four sections – two climbs as well as two challenging trails – will be rated, nevertheless the whole distances has to be complete within the time limit. With this modus those bikers will win who are best in combining both factors – physical power and sophisticated technical skills. 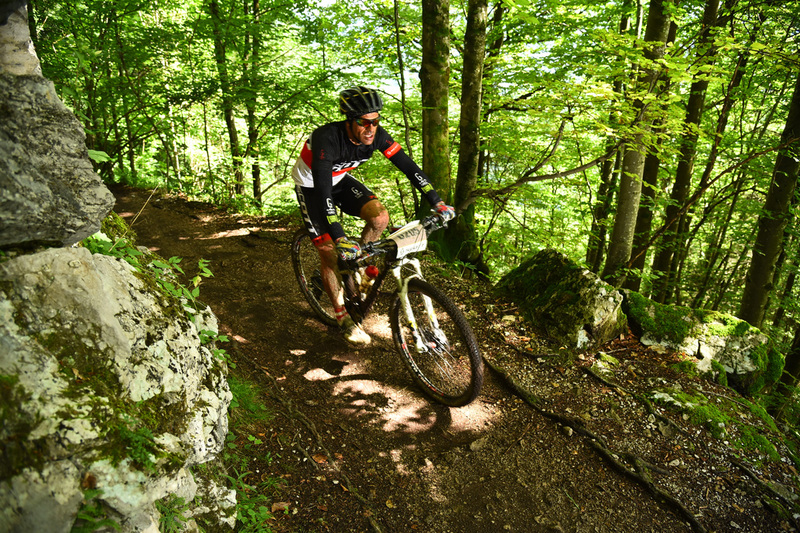 Those who would like to feel the Uphill-Flow of an e-mountain bike, have plenty opportunities during the Trophy weekend. More than 100 eMTBs will be available for testing at the Expo offering also guided eMTB-Tours as well a 4 km long test track. The „All-Mountain-Marathon“ (Course D) with start in the Imperial City Bad Ischl will be shortened by 5.4 km and has “only” 1.820 altitude difference. The highlights of this 55 km long distance are for sure the down hills with a total of 9.5 km technically challenging trails. 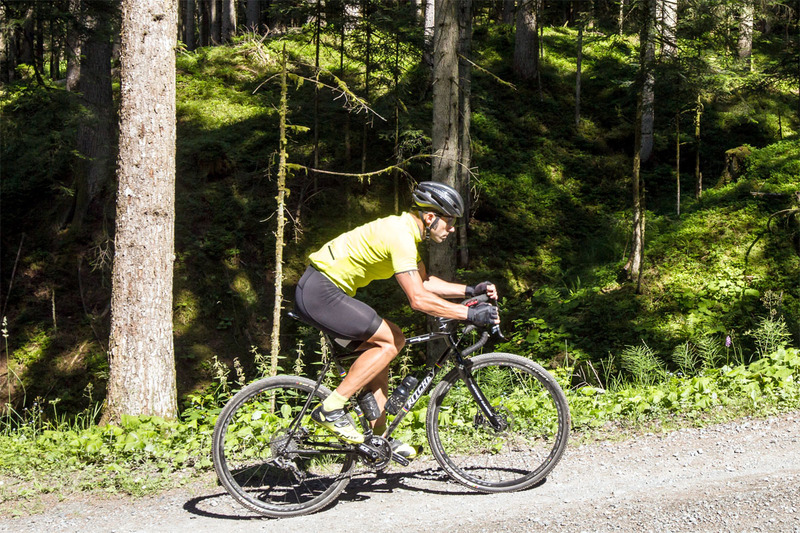 This course is perfect especially for bikers who prefer technically difficult trails with fast down hills on forest roads. The competition starts in front o the Ischler Trinkhalle at 13:00 hrs. The starting field is limited to 400 participants. There is going to be a special rating for all for fat bike bikers – minimum strip width is 4 inches. 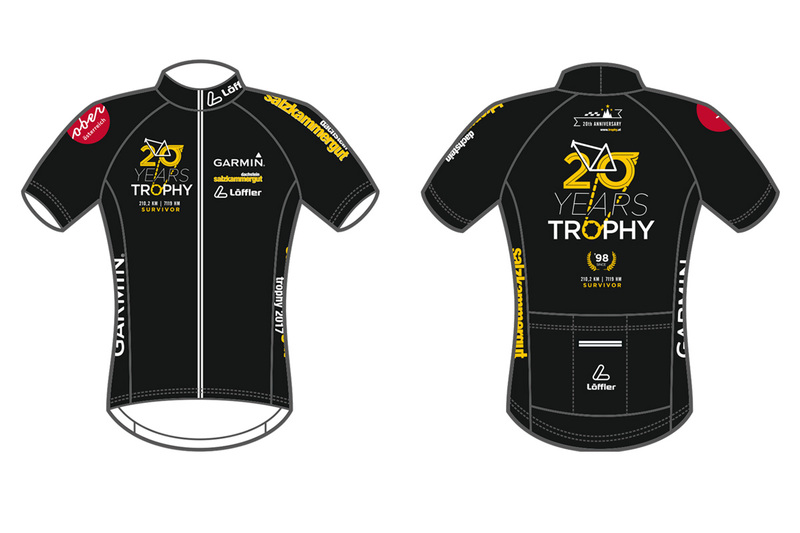 For the 20th anniversary, all conquerors of the extreme distance receive an exclusive Jersey in the Trophy-Design 2017, produced by our partner Löffler, an Austrian premium brand. 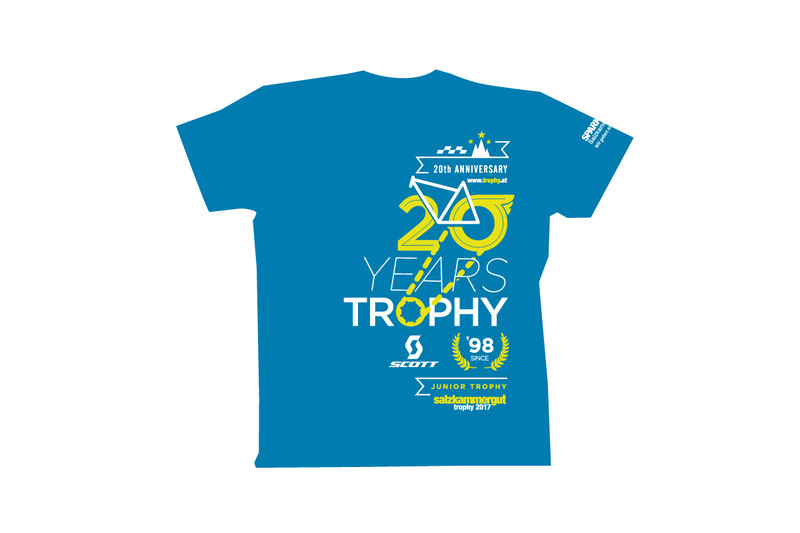 For all other participants after the race, t-shirts– as long as the stocks last – are available in unisex seizes from XS up to 3XL and in two colors Methyl Blue and Dark Denim. 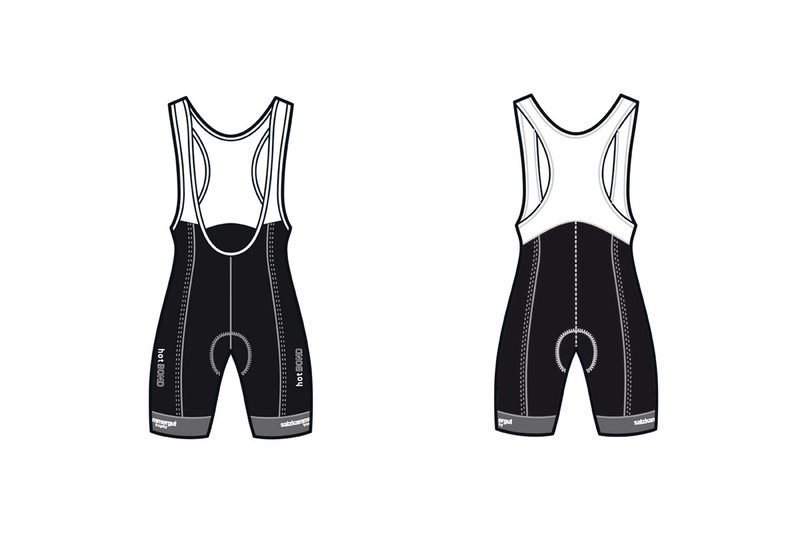 Whereas the Löffler HotBOND-bike pants as well as the brand new Löffler Jersey from the Trophy Collection is not for participants only, it may be just ordered by mail in seizes XS-3XL. The Salzkammergut is famous for its rusty lodges, fast down hills and kitschy-gorgeous views. Those great tracks surrounded by breathtaking mountain ranges, crystal clear lakes, especially Lake Gosau with wit awesome unique view towards King Dachstein as well as the picturesque little houses in Hallstatt make even the most ambitious bikers to pause for a moment taking a picture with his smart phone. Slowing down and get together in one of numerous inviting lodges serving tasty Brettljause and local Schnapps . 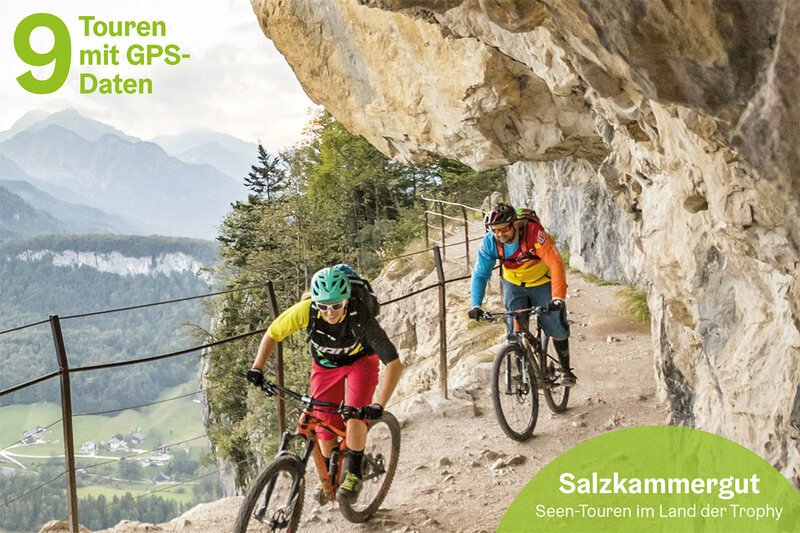 Upper Austria Tourism has published together with the regions and BIKE a special edition including all top tours with GPS data in the Dachstein Salzkammergut. For the 20th anniversary of the Salzkammergut-Trophy, there will be for the first time a special Gravel-Marathon. Start will be on the C-Course with an “external- start” in Obertraun tackling more than 76 km and 2.400 meters altitude difference. 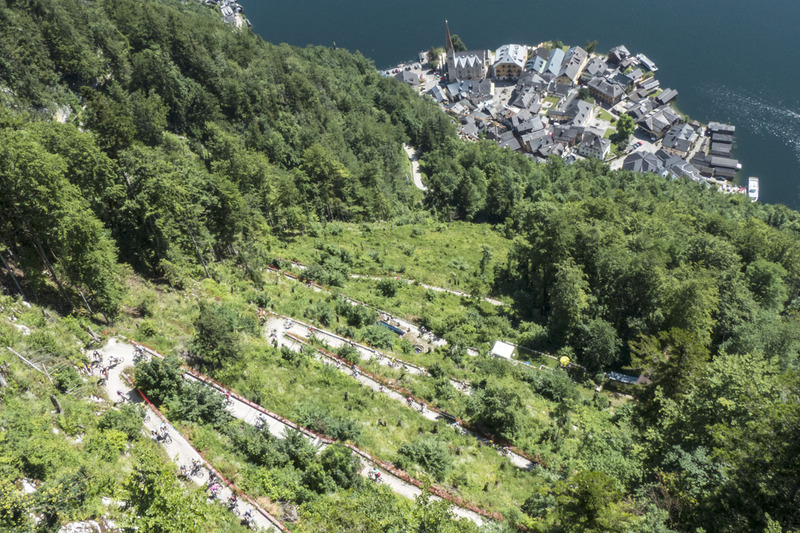 Before the participants reach the finish at the Bad Goisern Market Square they pass such Trophy highlights like the Hallstätter Salzberg and the breathtaking Lake Gosau. Slow-Motion-Rating. However please note that in the various age groups and team ratings as well as at any other Trophy special ratings one may only participate with a mountain bike! 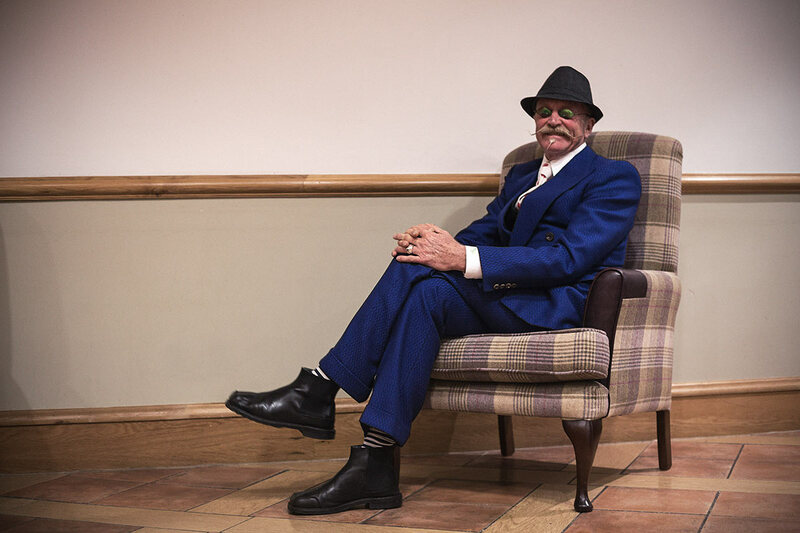 Mountain Bike legend Gary Fisher, former street biker and bike mechanic is considered as one of the inventors of mountain biking. From the very beginning Fisher monitored the development of ebikes predicting eBiking a great future. He is fascinated by the symbioses of human muscle power and smart electronics and he is convinced that ebikes will play a key role on the future mobility. He is especially thrilled about how fun ebiking is – no matter if urban metropolis or in the outdoor nature. Gary Fisher about the fascination of emountain biking, why it enables mountain biking in the purest form, and which revolutionary impact the ebike will have in the future on example of U.S.A. 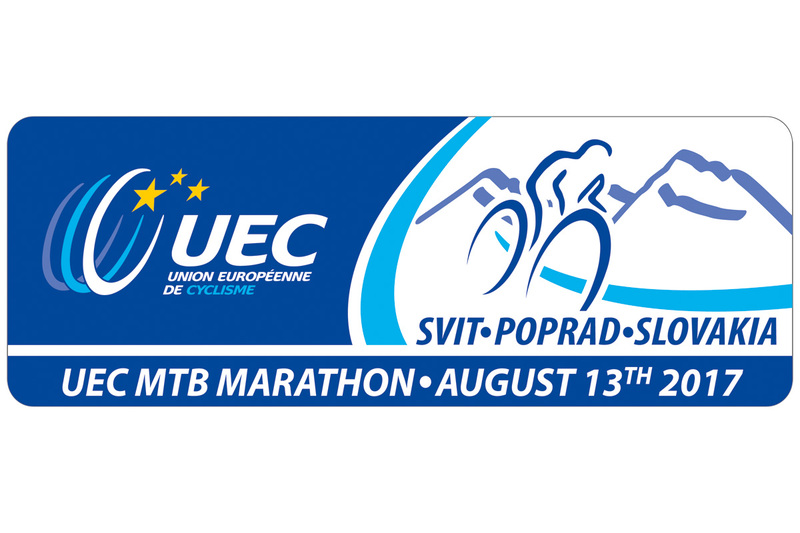 This year, the UEC Masters-European Championship will be hosted together with the UEC Elite-EM in Sivit, Slovakia on August 13th 2017. On August 12th the Horal-Marathon will be held on this course which will be also at the same time the final of the Intersport-Marathon-Series.